KINGFISHER COTTAGE Capel Gwyn, self catering cottages with instant confirmed online booking. We have Self Catering throughout Anglesey , Wales . Accommodation near all the attractions, places to see and things to do.......You are able to make an instant secure confirmed online booking. 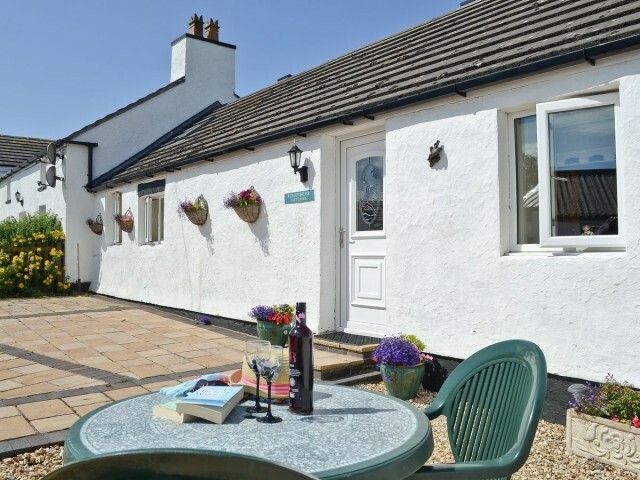 We also offer Anglesey AND Wales travel and tourist information..
Delightful cottage for couples, ideal for walkers and birdwatchers, Newborough Forest close by, South Stack on Holy Island short drive.. This delightful, whitewashed outbuilding conversion makes a great holiday base from which to explore the Isle of Anglesey. Situated just five miles from Rhosneigr with its lovely beaches, Kingfisher Cottage is ideal for walkers, golfers, birdwatchers and watersports enthusiasts. The RSPB reserve at South Stack on Holy Island is just a short drive away whilst Newborough Forest and beautiful Llanddwyn Island are close by. Shop, pub and restaurant 2 miles.. All on ground floor: 2 steps up to living room/kitchen with beams and tiled floor. 1 step down to double bedroom. Bathroom with shower over bath with grab bar, step box, bath seat and toilet. . Gas central heating, gas, electricity, bed linen and towels included. Travel cot. High chair. Digital TV. DVD and small library. Gas hob. Electric oven. Microwave. Shared use of washing machine, tumble dryer and freezer in owners&rsquo; utility room. Wi-fi. Enclosed patio with sitting-out area and furniture. Barbecue. Parking (2 cars). No smoking. This delightful, whitewashed outbuilding conversion makes a great holiday base from which to explore the Isle of Anglesey. Situated just five miles from Rhosneigr with its lovely beaches, Kingfisher Cottage is ideal for walkers, golfers, birdwatchers and watersports enthusiasts. The RSPB reserve at South Stack on Holy Island is just a short drive away whilst Newborough Forest and beautiful Llanddwyn Island are close by. Shop, pub and restaurant 2 miles.